mwe3: Where are you from originally and where do you live now? Tell us something about where you live now. Carl Filipiak: Im from Baltimore, Maryland and currently live in Timonium, Maryland. I have my teaching studio at my home and Im minutes away from the city and I-95 if I have to travel. mwe3: Your new CD is called Live At The Cats Eye. Can you tell us what inspired the CD and who plays with you on the album? 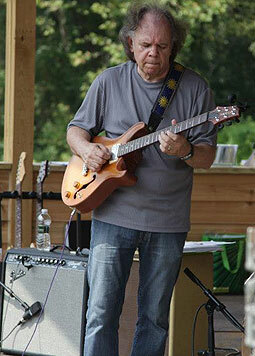 Carl Filipiak: In addition to jazz and blues, Ive always loved Hendrix, The Beatles, and many other 60s rock bands. Since Ive already done a few fusion and jazz albums, I wanted to shine the light on the rock side of my playing and writing. And it was nice to add a live recording to my catalog. I feel like this is a continuation of my 2007 studio release, I Got Your Mantra. A few songs from that CD are on Live At The Cats Eye and of course, youre hearing them played live and stretched out a little. 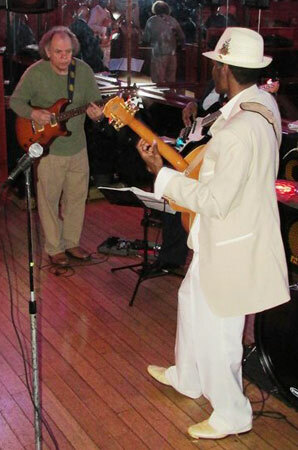 Frank Young on drums, Paul Hannah on sax, and Mike Pope on bass. Steve Zerlin and Matthew Everhart also play bass on one or two tracks. mwe3: The Beatles arent really thought of as being a guitar-centric band yet their innovations for rock guitar are still being felt today. Tell us what inspired your Live At The Cats Eye version of I Want You (Shes So Heavy) as well as your great instrumental version of A Day In The Life which you released as the lead off track on your 2007 CD I Got Your Mantra. Its just amazing that I Want You (Shes So Heavy) and especially George Harrisons While My Guitar Gently Weeps have been covered several times as instrumentals. Carl Filipiak: The bottom line for me is that I have to love the music. And in this case its not hard to love Beatles songs! Not only from a nostalgic point of view, but each of those songs lent themselves perfectly for how I wanted to interpret them. I Want You is a minor blues based song that is easy and fun to stretch out on, and fits in great with how we play each month at the Cats Eye. And what other rock tune has a dominant 7 flat 9 chord?! A Day In The Life is probably one of my favorite songs of all time, and I love that it didnt need anything more than me playing the melody to make it work, in my opinion, of course. Trying to channel George Harrison and Jeff Beck on the melody was the hard part! And doing a version of one of their orchestral songs with only guitar, bass, drums and keys wasnt easy either. Ive been around long enough to know that what you do will never be as cool as the original. And thats okay with me, Im doing them simply because I love those songs. 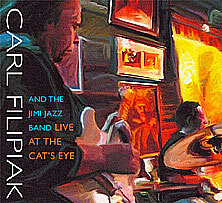 mwe3: Your band is called Carl Filipiak And The Jimi Jazz Band. In what ways do you feel Hendrix defined the art of rock guitar and how do you try to channel (for lack of a better word, lol) Jimis energy and vision and bring it through your music? What Hendrix songs do you find the best to perform and are there other covers planned in the future? Carl Filipiak: Around 2007 I got the idea to pay homage to the 1960's by recording I Got Your Mantra. I wrote some songs that reflected that time period, but still had some connection with the 21st century. Obviously, Hendrix was a big part of that time period, and I think calling the group The Jimi jazz Band reflected those intentions. 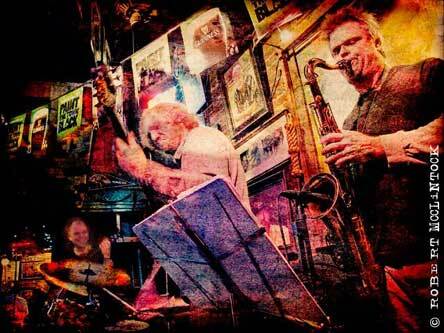 Its also just another way to describe what we already do which is jazz-rock or fusion. Pretty much anything I do falls under that description, and also I just like the way it sounds. The bottom line is the music of course and that usually transcends the description. Hendrix defined of the art of rock guitar with his unique sound, use of noise and feedback, writing, and lyrics that still seem otherworldly today. And were talking almost 50 years ago! While most musicians are aware of his contributions to music, not many of us can answer how he turned the blues around in such a creative way. It is simply beyond description. I was lucky to have seen him perform twice when I was young and it was truly a life changing experience. I was very influenced by Hendrix and other artists from the '60s, and their energy and vision have been effortlessly channeled into my music. They will always be a part of my musical DNA. Hopefully, one can get a glimpse of what Im trying to say musically even though I owe my knowledge of music to all those greats that came before me. The '60s for me was an incredible time for music and glad I was there. I can only hope it is reflected in my music. I still pull out Little Wing once in a while and use it for its basic changes. I no longer play it like the original since I have done that countless times. Its fun to improvise an intro and take it somewhere else, and is one of the only Hendrix songs that we currently are doing. Lately weve been doing an instrumental version of Strawberry Fields, much in the same way as my version of A Day In The Life. Also a 6/8 arrangement of Help that I re-harmonized and Im not sure whether or not John Lennon would like if he heard it! One of those will probably make the next album along with the rest of the songs being originals. And of course we cant wait to start recording them. mwe3: What do you think of the current jazz-rock fusion scene? What guitarists and styles of music today interest you the most, both legends and new and rising guitarists and bands? Carl Filipiak: Not quite like what it was in the late 1980s let alone the 70s, but if you look around hard enough, youll find it although it has changed with the times. 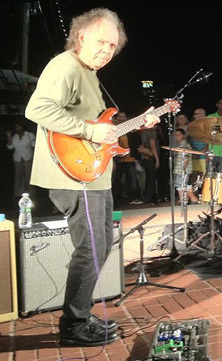 I still follow Metheny, Martino, Scofield, Holdsworth, McLaughlin as well as Robben Ford and Matt Scofield. Guthrie Govans is keeping it alive and bands like Snarky Puppy have an interesting take on things and are a fantastic band. mwe3: What guitars are you featuring on Live At The Cats Eye and what is your live set up like when you perform at the Cats Eye which youve been doing every month for the past twelve years? How has your choice of guitars changed over the years? 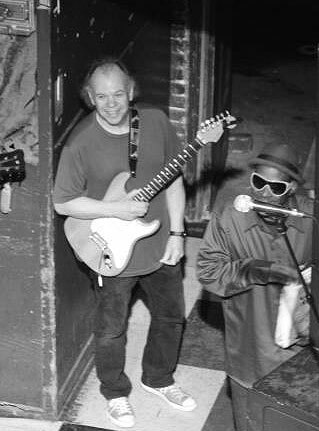 Carl Filipiak: A 1966 Fender Strat and a Strat with some personal tweaks done by luthier Phil Jacoby. I used a Fender Bassman reissue and a Vibroverb reissue on the live recording. Ive moved over to a PRS McCarty solid body and/or McCarty archtop lately because Ive been playing jazz with some other groups. And Ive been getting back into the sound of humbuckers again after playing Strats for the past 10 to 15 years. mwe3: What did producer John Grant bring to the Live At The Cats Eye album and who else was key in getting the sound right and the CD out? Also the artwork is great, can you tell us about the CD cover art? Carl Filipiak: Ive been recording with John Grant at Secret Sound Studio since the 1980s and not only does he bring decades of experience with him, we have a great friendship... that really goes a long way. Hes also a great guitarist and one of my former students. Hes a huge part of my records and I couldnt do it without him. My drummer, Frank Young is also responsible for listening through hours of tape and convincing me that we had an album worth putting out. He also played a big part in the studio and is given production credits. I couldnt have done it without him either! Which goes to show you how small a part I play in all of this. I have, finally, learned to surround myself with the best players and simply stand out of the way. Works every time! Robert McClintock did the artwork. He takes a digital photograph and paints over top of it. He has some really awesome artwork and a gallery in located in downtown Baltimore. mwe3: You released the new album on Art Of Life Records. Youve recorded eight albums on that label. How did you come to work with Art Of Life and can you tell us something about your albums and relationship with the label? Carl Filipiak: Ive known Paul Kohler from Art of Life Records since 1987 when my first album Electric Thoughts was released... on vinyl back then. We were both friends and fans of the same music and who would have known that he would eventually get into the business and the artistic side of music. 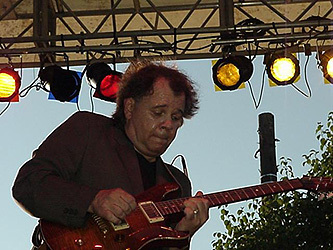 He does a great job remastering CDs that were previously unavailable and fans of jazz guitar should check out his catalog: Lenny Breau, Joe Diorio, Ted Green, and even some obscure Holdsworth and McLaughlin CDs are now available. All of my albums from my record label Geometric Records are available on Art of Life Records and can also be found on iTunes, Amazon, and many other sites. My earlier fusion recordings feature Dennis Chambers, Will Calhoun, and Greg Grainger on drums, Gary Grainger on bass, Bob Berg on sax and many others. 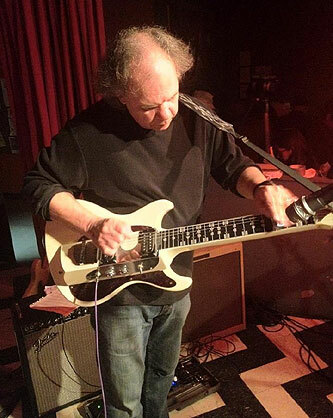 I Got Your Mantra and Live At The Cats Eye are with the Jimi Jazz Band and I did one more straight-ahead record with an incredible guitarist, Randy Runyon when he was still in high school called Arrival. I have a great relationship both business-wise and artistic with Paul Kohler. Whether I record a jazz album, a rock record or anything in between, I know I have Paul Kohler's support, one hundred percent. And it doesnt get much better than that! mwe3: What have you planned for 2014 including new writing, recording, studio work and performing? Carl Filipiak: This May of 2014 Geometric Records will be releasing I Got Your Mantra on 180 gram vinyl. Were really looking forward to this since the last album I did on vinyl was our first one, Electric Thoughts. Bassist, Mike Pope, who has worked with Chick Corea, Al DiMeola and David Sanborn, is transcribing this record for a possible artist transcriptions book that I hope Mel Bay Publications will be interested in. Check out my first book Rock-Fusion Improvising also available from Mel Bay Publications. Ive been teaching for decades now, but in May I will also start videotaping online lessons for E-line Productions. Most of the material for a third Jimi Jazz Band album is complete but will probably be released in 2015 with so much else going on this year.